Salem County government offices at 127 E. Broadway Street. Authorities in Salem County have taken a suspect into custody after an active shooter and barricade situation unfolded in government building on Wednesday, according to state police. 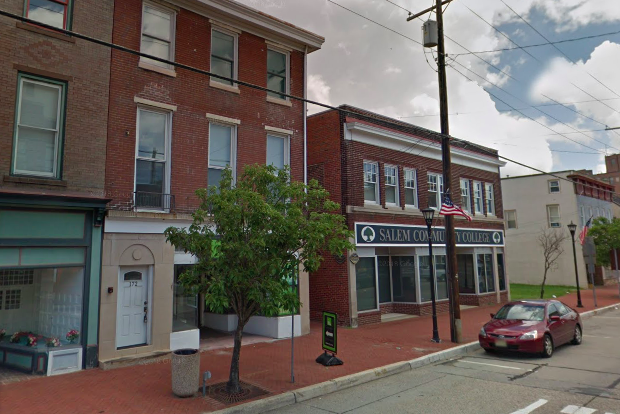 Salem County Government had earlier posted on Facebook, around half past noon, that the building at 172 E. Broadway Street was placed on lockdown. A gunman reportedly opened fired from a roof in the area of Broadway and Market Street before barricading himself inside a building, police said. The building is owned by Salem County Community College. New Jersey Attorney General Gurbir Grewal later characterized the situation as a standoff between a fugitive and police, who were working to negotiate a surrender. There do not appear to be any injuries. The public has been asked to avoid the area of the county offices.